There is a fair amount of mis-information that exists around window films, so we wanted to share this is an excerpt from an interesting article from The Denver Post that discusses how window films can be used to save you money. We wanted to focus in on the six window film facts that they spelled out in the article. We hope that this clears up some basics about window film and that you enjoy the article. 1. Color-Neutral Options – “If you don’t want to change the color of your home’s natural light or see any metallic shine, ask for a color-neutral day-lighting film,” said the International Window Film Association’s Darell Smith. 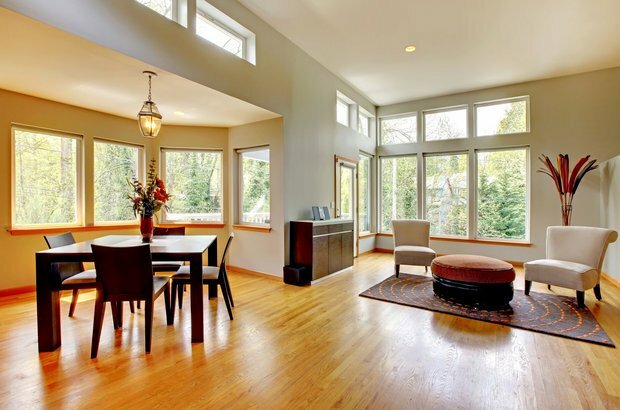 Your windows will save energy, but give up next to nothing in light quality. 2. Lower bills – In hot weather, solar-control films can block up to 80 percent of the solar energy coming through windows, which cuts down on air conditioning. “It usually translates into a year-round savings of about 5 to 10 percent of the home’s total energy bill,” said Smith, and much more during hot months. 3. Damage Shield – Visible light lies on the spectrum between ultraviolet, which damages furniture, and infrared, which beams heat. Treated windows will block 99 percent of UVA and UVB rays, thus greatly slowing the deterioration and fading of drapes, carpet and furniture. 4. Decorative Looks – Today’s window films can also inexpensively make clear glass look etched or frosted for privacy or a decorative effect. 5. It’s Not a Fix – If your window is in bad shape, leaking or poorly insulated, adding film won’t fix that. Deteriorating windows should be replaced. However, if your windows are in good shape, don’t replace them just for energy efficiency, said Smith. Try film first. 6. Get a Warranty on the Work – And read it before you sign a contract. You should be protected against bad installations. Signs of a bad job include film that peels or lifts at the edges, or little bubbles growing under the film. Speaking of warranties, many window manufacturers will invalidate their warranty if you do anything to their windows, including adding window film. If your windows are still under warranty, find out how adding film will affect that protection. Get it in writing. Contact Architectural Window Film today by calling 918-812-0953 or emailing us by clicking HERE for a free, no obligation consultation and estimate of implementing window film. We would be happy to answer any questions you may have about the process or the products that we use.